International Archaeology Day is an event being put on by the Boston Museum of Science. Photon will host a booth at the event which will allow us to educate attendees on the role that physics plays in archaeology! This ongoing outreach project has Photon building relationships with local high school teachers so that we may visit their classrooms during school hours to bring gripping, exciting, and unintuitive demos to high school students to help inspire them to pursue the physical sciences. Our first show at Boston Green Academy is on November 3, 2014. Hopefully, many more shows will take place during this academic year! FIRST Robotics is a program for high school students where they get to work hands on creating robots which will compete in physical challenges. These high school students can benefit greatly from passionate undergraduate mentors; and you could be one of them! BU Academy (BUA) has a FIRST team that is only five minutes away, and they meet about twice weekly in the fall and daily in the spring. Furthermore, your commitment is flexible — you can go when you want to (with at least some regularity). You are a mentor for these students – not a babysitter. You need not be there every single day. The BU Academy (BUA) Science Team is a club which meets regularly to compete in Science Olympics. There is an Olympic Event once every month. To prepare for these events they meet twice a week to prepare engineered devices or to practice their science know-how. BUA has stated that they could greatly use an undergrad mentor for this club to help them prepare for the Olympic events and to provide mentorship for the students. Each spring a contingency of BU undergraduates heads off into the Boston suburbs to facilitate the Massachusetts High School Physics Olympics. This paid opportunity allows for you to get to mentor some high school students and run some very fun physics-based events! In the past there has been Physics Pictionary, Rube Goldberg machines, physical challenges, and, of course, a physics trivia bowl. You get to judge these events, which is a great deal of fun. Our visitors learn more about the world around us through touch, observation, interaction, and play. Their experiences are made substantially more meaningful through the dedication of our enthusiastic core of volunteers, who are an integral part of the Museum’s community. Volunteers support the Museum in activities that range from interacting with visitors to providing administrative support for the staff. In all that they do, their commitment enables the Museum to provide a lively, fun, and educational experience for everyone. PHOTON has revamped the way they did outreach this semester. On December 14th, PHOTON attended Winthrop L Chenery Middle School and demonstrated Newton’s Laws, Kinematics and Energy Conservation for two sixth grade classes. With the help of Professor Robert Carey, PHOTON will continue working with other middle schools districts in the greater Boston area. The presentation can be found here: Kinematics, Momentum and Energy If you would like to know more, please email the current president: ajwelsh AT bu . edu. PHOTON will be reaching out this semester to help spread the joy of science to students in the Boston area. 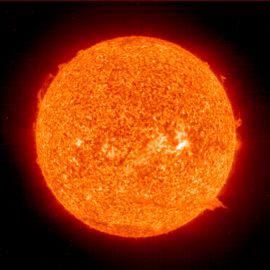 In coordination with education head Dr. Nicholas Gross of the BU Center for Integrated Space Weather Modeling (CISM), PHOTON will be developing a program for middle schoolers that will explain some properties of the Sun and have them measure the speed of the mass that’s constantly being ejected from the Sun. And introductory powerpoint from Dr. Gross can be downloaded here.